AGS is raising awareness of the Desmond Tutu HIV Foundation and our support of their crucial healthcare projects. Emphasising our ongoing commitment to the United Nations’ Global Compact since 2009, AGS uplifts local communities in countries our branches call home. AGS is raising awareness of the Desmond Tutu HIV Foundation and our support of their crucial healthcare projects. Emphasizing our ongoing commitment to the United Nations’ Global Compact since 2009, AGS uplifts local communities in countries our branches call home. In 2015 delegates from the global removals industry will be travelling to Cape Town, South Africa, for the annual FIDI Conference from 29 March to 1 April. We recently announced that AGS has secured a prestigious Platinum Sponsorship for this conference, demonstrating AGS’s support for FIDI. 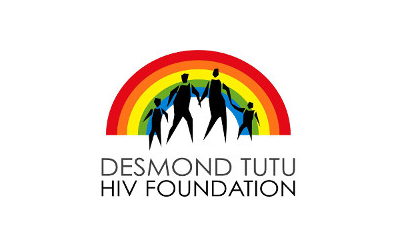 Furthering our global commitment to sustainable development, AGS is supporting the Desmond Tutu HIV Foundation (DTHF) in South Africa, in an effort to specifically raise funds for the DTHF’s Tutu Tester mobile clinic programme. AGS’ presence in the 2015 FIDI Conference will raise further awareness of the campaign, coinciding perfectly with the DTHF’s services delivered in Cape Town. 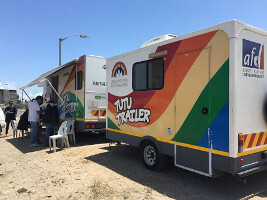 The Tutu Tester mobile clinic offers a ‘Health on Wheels’ wellness service, providing point-of-care testing and screening for a range of chronic illnesses. These include HIV, Tuberculosis, STIs, diabetes and high blood pressure, as well as family-planning services. The advanced point-of-care technology allows patients in under-served communities – with limited access to primary healthcare clinics – to receive their results in under 20 minutes. AGS will promote the DTHF through various communications, allowing our customers and business associates to join us in our support of this extremely worthy cause on the African continent. Please look out for more updates on our social media channels – including Twitter and Facebook – and on www.agsmovers.com.